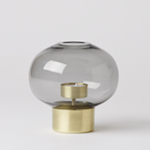 We here at Kitka love Dalecarlian Horses, and we spotted one in Katherine Chiles’ “Space” so we were inspired to make a little post sharing some photos of our Dala collection & maybe a brief history lesson. 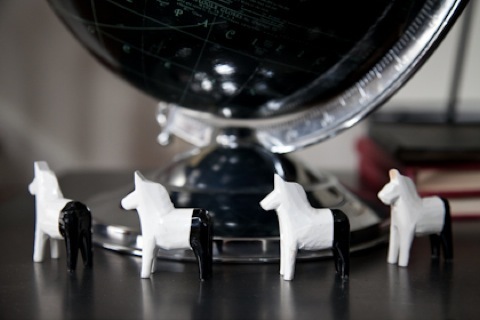 Dalecarlian Horses or “Dala” Horse is a traditional Swedish toy originating from the Swedish province Dalarna. It was during the long winter nights in small log cabins in front of a fire, woodcarvers would make toys from scrap wood for their children. Apparently, the Dala Horse gained international popularity when it was chosen by the National Crafts Union for part of the Swedish display at the Paris Exposition in the mid-19th century. 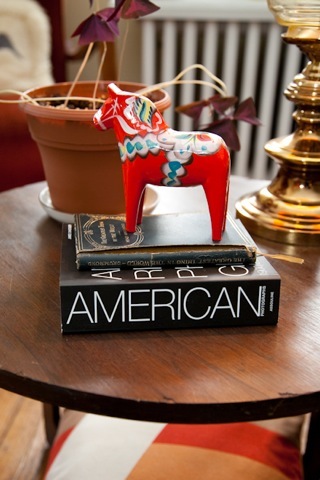 Today the Dala Horse is recognized as an unofficial symbol of Sweden (thanks IKEA). This guy is huge! 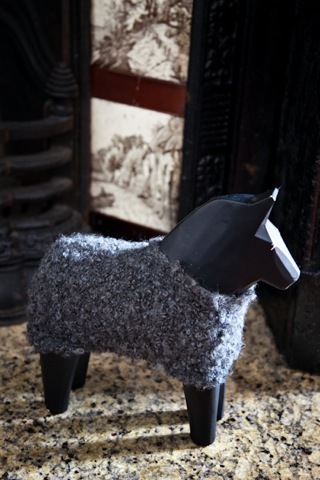 Standing at 12″ tall, he has a neat wool coat and hangs out in front of our fireplace. The Dala horse is said to be created after Odin’s horse Sleipnir, from Norse Mythology, though Dala Horses don’t have eight legs. Traditional Dala horses were painted bright red with a white, blue, green, & yellow harness like Katherine’s Horse. 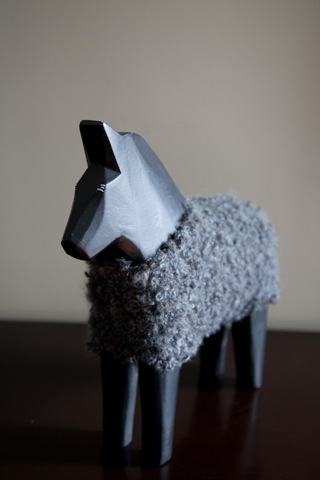 They can also be painted blue, or in the Rättvik area, grey. « Guess the size of this bowl!